Auberge du Soleil is wine country's most iconic luxury property, nestled in a 33-acre sunlit olive grove on the slopes of Rutherford Hill, featuring majestic views of the renowned Napa Valley. Distinguished as a prestigious Relais & Chateaux property, and the area's only Forbes Five Star resort, Auberge du Soleil offers 50 spacious, contemporary guest rooms and suites that include an extensive array of complimentary amenities and services. The Restaurant, a 10-time recipient of a coveted Michelin Star, offers fine dining complemented by an award-winning wine list, within an intimate indoor setting or outdoors on the terrace with sweeping vineyard views. 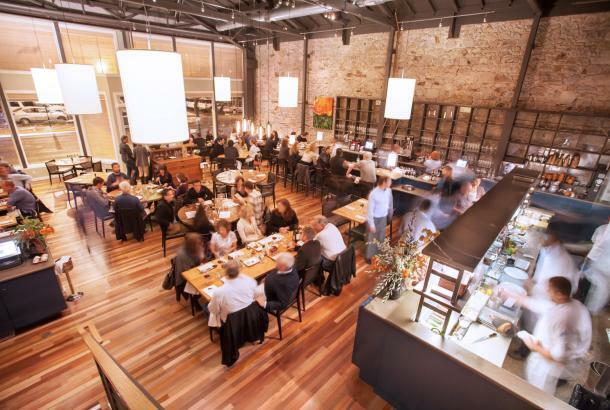 The adjacent Bistro & Bar provide a more casual dining experience. The luxurious 7,000 sq. ft. Auberge Spa includes eight treatment rooms, an extensive menu of services, Hammam steam rooms and three temperate springs where guests may soak and enjoy a restorative water ritual before and after their treatments. A picturesque swimming pool with cabanas and trellised lounge area, 24-hour fitness center and yoga studio are also available. 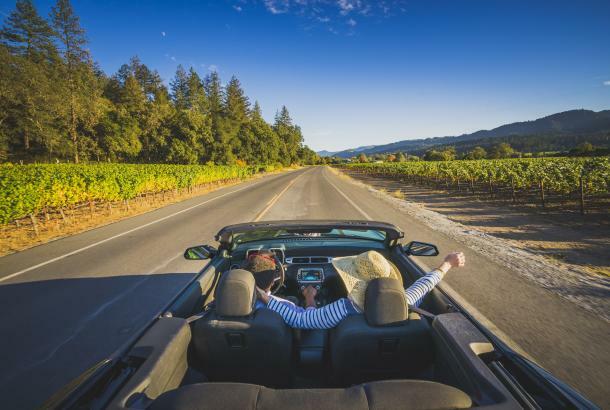 Guests are also invited to explore the resort's renowned outdoor sculpture garden showcasing over 100 works from more than 60 California artists, or venture off-property to discover neighboring wineries via a vehicle drive program provided by Mercedes-Benz. 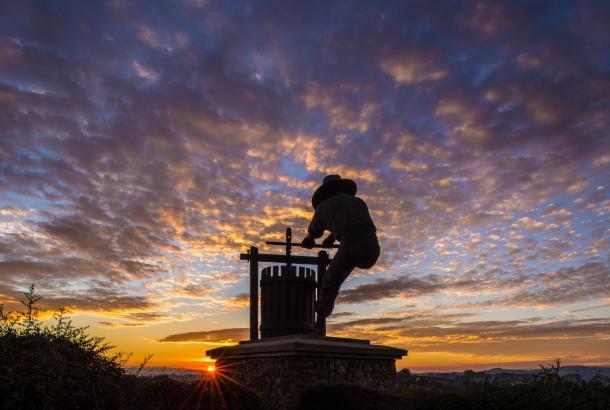 With a vast array of industry awards and accolades Auberge du Soleil offers the ideal venue for a comprehensive luxury resort experience in wine country. 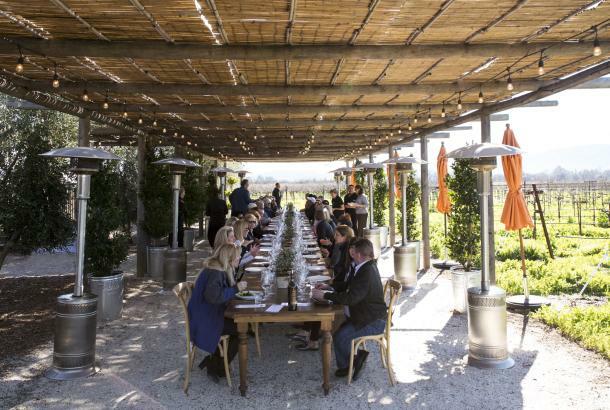 There is no better place to hold meetings or retreats for up to 50 executives than Auberge du Soleil in the Napa Valley. From its sun-drenched location overlooking the vineyards of Napa Valley and its Mediterranean-inspired cuisine and architecture to spacious, comfortable rooms and service nonpareil, the "Inn of the Sun" makes business a pleasure in a part of the world that literally defines the good life. 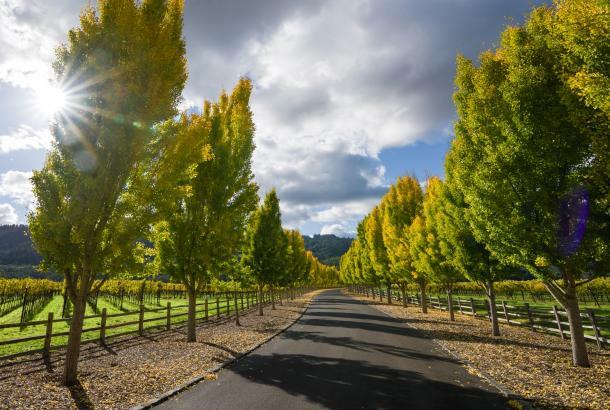 Only 1-1/2 hours away from San Francisco and accessible by private jet into Napa County Airport, Auberge du Soleil has been the Napa meeting site for such companies as KPMG, Sun Micro Systems, Morgan Stanley, New York Life and Oracle. Private corporate meeting rooms are filled with natural light that streams through French doors leading to a stone terrace, perfect for a break or working lunch. All audiovisual requirements can be arranged for any type of meeting. Our culinary team will individualize the menus with the same celebrated cuisine served in the Auberge du Soleil restaurant. Beyond business, leisure activities in Napa Valley abound nearby, and the Auberge du Soleil meeting coordinator can arrange private winery tours, golf outings, and activities for spouses such as visits to private art galleries or the property’s own Outdoor Sculpture Gallery and private winery events and cooking classes. Meeting participants rest comfortably in one of the hotel's 50 rooms and suites, each with its own terrace and extraordinary view. Accommodations at Auberge du Soleil resort feature Mediterranean-inspired décor with original contemporary art. All guest rooms, suites and maisons feature Italian linens, down bedding and duvets, Auberge du Soleil’s custom-made bath amenities, plush robes and slippers and private outdoor terraces for relaxing or dining. The Auberge spa is a natural extension of California wine country’s most luxurious country inn, Auberge du Soleil. Built for the exclusive use of the resort’s guests, The Auberge Spa occupies 7,000 square feet overlooking the Napa Valley. Auberge Spa guests can arrive early to enjoy our water ritual, which includes a soak in each of our three temperate springs overlooking the Napa Valley vineyards and Auberge’s olive grove. The Melisse Suite, a spacious spa resort suite for romantic pairs or four friends, features a fireplace, private outdoor garden and hot spring. 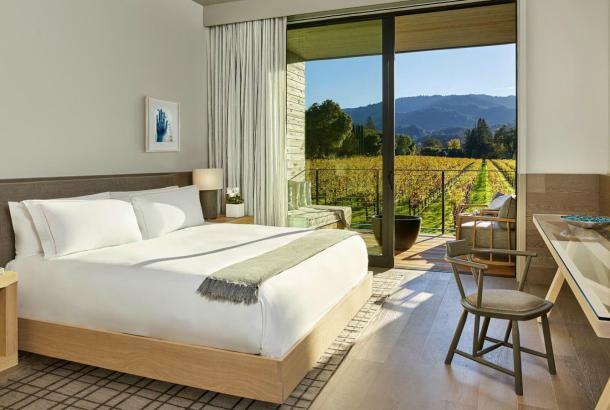 Guests can relax in total privacy as they gaze through floor-to-ceiling windows at the panoramic view of Napa Valley and sip a pre-treatment elixir. 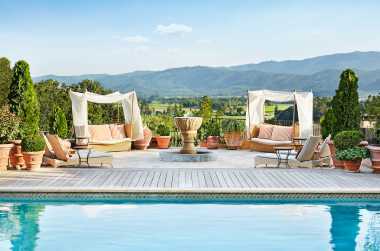 After enjoying side-by-side spa treatments, they can soak in a heated private pool overlooking California’s Napa Valley. Many of the preparations used in our Napa spa treatments feature house-infused oils, as well as calendula, rosemary, lemon balm and other herbs cultivated by the therapists in the spa’s garden. Auberge Du Soleil provides Napa Valley's most panoramic-view destination for wedding ceremonies and receptions from 2 - 120 guests. Terraced on a hillside overlooking the valley vineyards, let Auberge du Soleil set the mood for your wedding celebration. Wedding guests will be greeted with the warm hospitality that has made Auberge du Soleil everything it is today. A private staircase leads you onto your own private dining level, exclusively reserved for your event. A glass of Napa Sparkling wine would be the perfect accompaniment on the terrace as guests arrive from your off-site ceremony, or await the wedding ceremony on the adjoining deck. One end of the Terrace offers guests a sheltered site where they can enjoy hors d’oeuvres, watch a sunset or take part in an intimate wedding ceremony. The ceremony deck is a unique location to exchange vows amidst the vineyards, hillsides and mountains of California’s Napa Valley. In the fall months, guests will enjoy the patchwork of autumn colors in the vineyards below with bright yellow mustard in the fields during the winter months. Summer and spring provide various shades of green as the backdrop for the ceremony photos. Guests will be able to share in the festivities and enjoy the panorama in the distance.